From the land of the chicken tikka masala, comes a slot game that is bound to catch your fancy if you like that sort of thing. Best of British is a slot game that tries to offer you the best from the Queen’s own country to see if you can get her to share with you any of her royal treasure. Try your best to get more than just some hot tea in this game by trying your luck. Who other than a Gibraltar based company to tell us what the best is that the British have to offer? Nektan Gaming is out to showcase just what the British have to offer through this slot game. 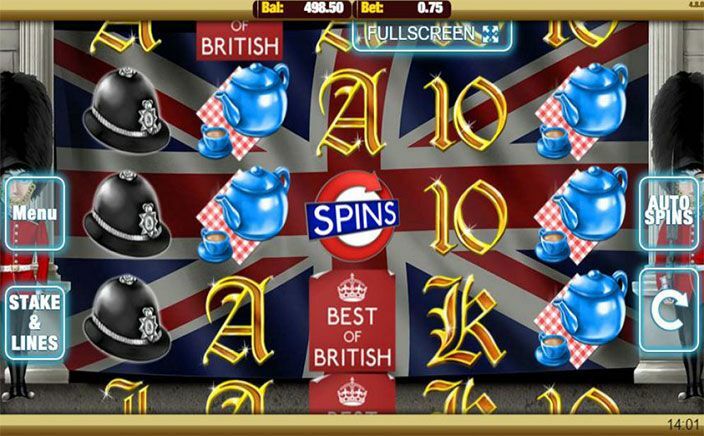 The Best of British slot game plays out best on the mobile phone through a smooth performance and is great for a whiff of good old British culture. Best of British is a game that is filled with symbols that will remind you of English places and themes. Some of the symbols include fish and chips, among other things, that will keep you at it if you are feeling particularly patriotic. The game plays out on 5 reels and 15 paylines arranged across 3 rows and you can start playing by using the Stake and Lines button to select your bet and spin to see what your money can win you. Wild Substitutions: The wild symbol in the game is the best British dog that you can find – the bulldog. This acts as stacked wilds on the reels when you are lucky and you can get even more on your deposit if you manage to get three wild signs in a winning line. Free spins: The London Underground is another feature that is best known about the place and it features in the free spins sign on the game. Three of the tube signs can trigger 30 free spins and they can be reactivated with more tube signs with the word Spins on them. 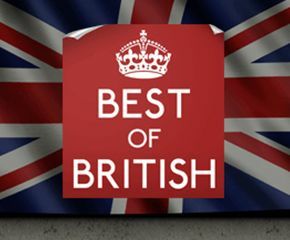 Best of British lets you enjoy the best that the United Kingdom has to offer from the comfort of your smartphone. The game is great to play on the smartphone and is brilliant especially given the stacked wild feature and this is what will really help you make a lot of money on the game. Try it the next time you want to get a taste of English entertainment that is as rewarding as it is entertaining.